If you’re about to embark on a big Mexican adventure, you should start to think about where you want to stop off and what you want to do there. The truth is Mexico is a vast and beautiful country in many ways, but if you’re going to get the most of it, you need to have a plan. Simply turning up and deciding where to go next as you go along is probably not the best way to approach this country. When you're in Mexico, a bit of structure and planning really does go a long way. So, here are some of the places you definitely should visit along the way. 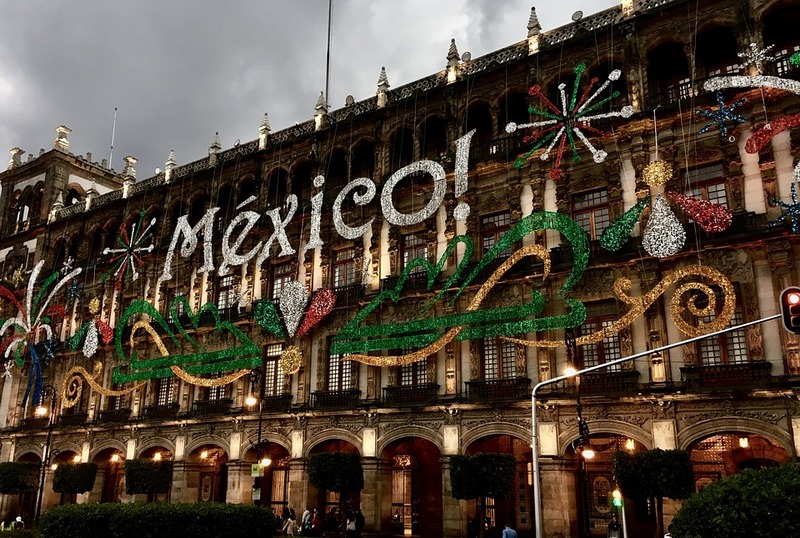 Culture is the main attraction in Guadalajara. And once you’ve worked out how to pronounce the name of the city, you’ll be free to explore its musical heritage, its art and its history. All of that will keep you busy for a very long time indeed because this truly is a fantastic cultural capital that deserves to be explored. Mexico City is, of course, the capital city of Mexico, so you can’t really take a trip to Mexico without stopping off here. It’s a very dense and interesting city. It’s the kind of place you can wander around and never get bored of because it’s always teeming with life and there is something interesting happening around pretty much every corner of the city. If what you want is beautiful white sandy beaches and crystal clear waters, then you should definitely head to Tulum. It’s still a bit of a hidden gem as far as Mexican travel destinations go. And it offers the kinds of landscapes and scenery that we wouldn’t normally associate with Mexico at all. But it is simple stunning, and when you get there you’ll know exactly what I mean. You’ve probably heard of Tabasco sauce, but even better than the sauce is the region in Mexico that it takes its name from. Home to some stunning hotels, such as the Fairfield Inn & Suites Villahermosa and lots of natural wonders to explore at your own pace, Tabasco is definitely worth visiting. The Grottoes Coconá caves are a particular highlight if you want to explore the natural side of the region. Monterrey is the third largest city in all of Mexico, and as the image below should show you, it’s where you should head to if you want to let your hair down and have a good time with the locals. The party scene here really is second to none, so if you want to have a good time in a buzzing metropolis, you definitely need to head to Monterrey when you’re exploring Mexico. You probably hear a lot of negativity about Mexico, but these places prove to you that such negativity should be plainly ignored. Mexico is a beautiful, vibrant and surprising country. If you’ve never been there before, you really are missing out, so now is the perfect time to remedy that.